who said being a dog is boring? 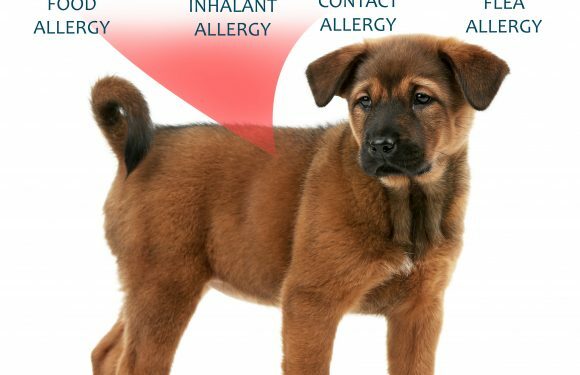 WELCOME TO TRANQUIL PET . 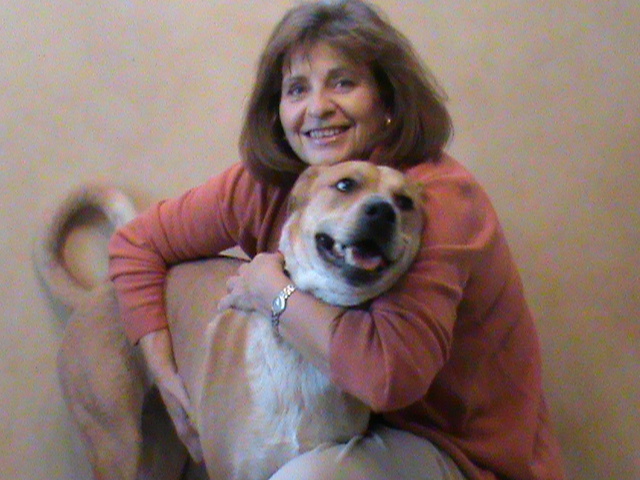 . .
Jean is owner and founder of TranquilPET, Canine Aquatics & Holistic Healing Center (“TranquilPET”), a wellness center for your dog’s body, mind and spirit, specializing in (warm water) swimming your elderly, arthritic, overweight pre/post-surgical dogs, as well as performance/services dogs and dogs who love to swim for just fun and fitness! 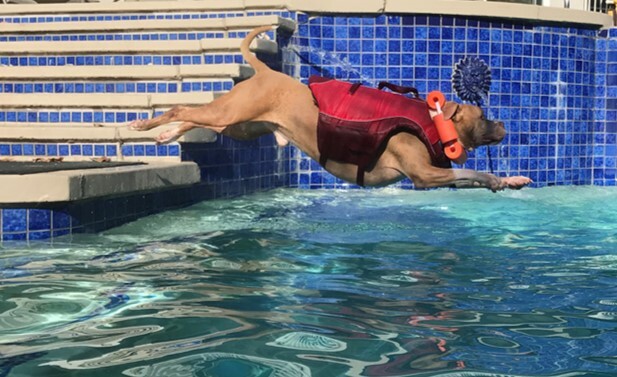 “My dog hates the water.” We hear this all the time. 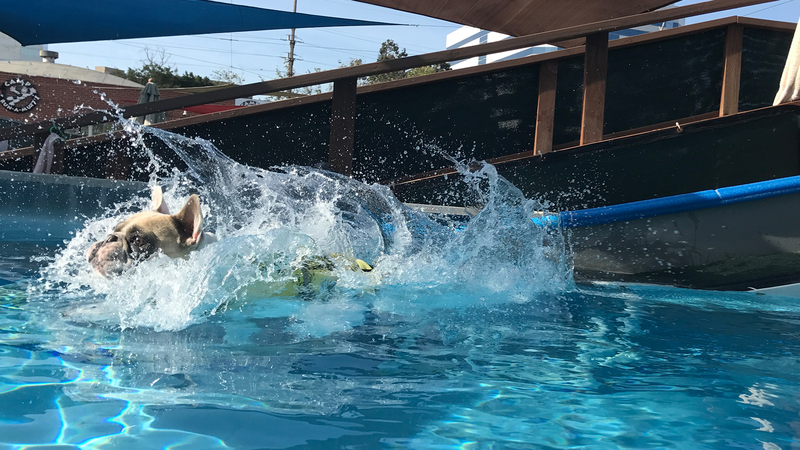 We also hear: “My dog loves the water” … and then we get them into pool and they freak out. 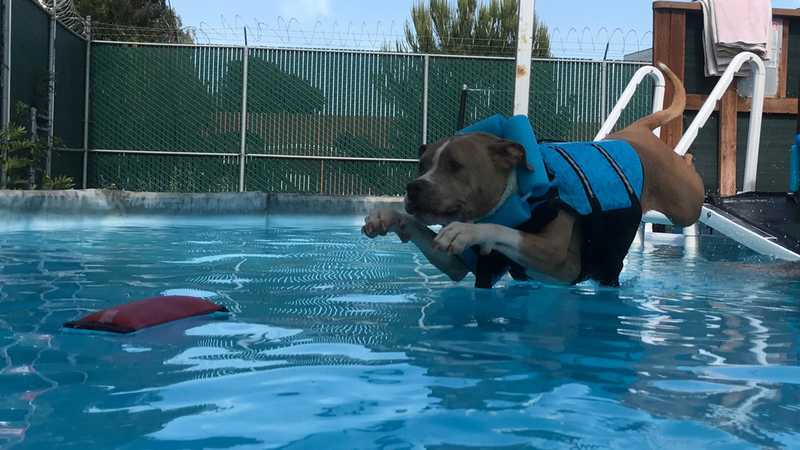 Pet owners sometimes mistake the difference between their dogs loving to run through sprinklers or get into a wading pool and swimming. 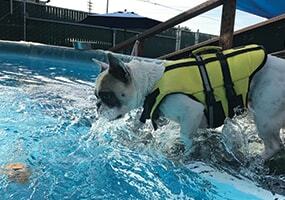 Most dogs, unfamiliar with swimming, are panicky when they cannot put their paws on solid ground. 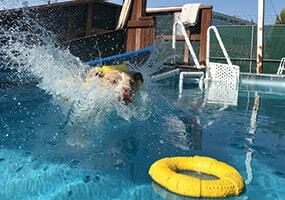 Contrary to popular belief, swimming is not instinctive to all dogs. 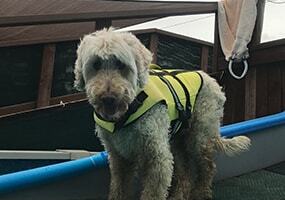 We have developed techniques to help your dog get over their fear of the water and actually end up loving to swim..
Jean is the Canine Swim Coach, a certified Small Animal Massage Therapist and Reiki Master Practitioner for Animals & People, incorporating massage and Reiki into your dog’s swim sessions. 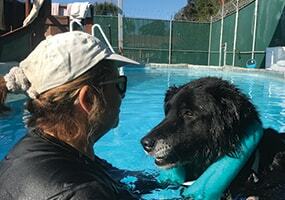 Jean studied with renowned swim coach, Cindy Horsfall, of La Paw Spa in Sequim, Washington. 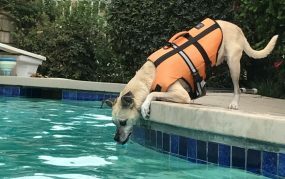 Is swimming the right choice for your Dog? 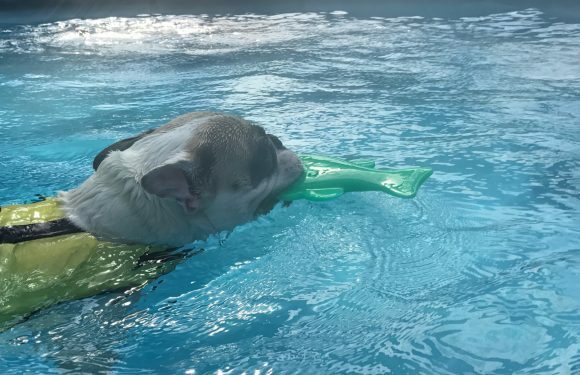 Swimming is the perfect activity for all dogs young or old. It provides a non-weight bearing activity that avoids all the stresses and strains of exercising on hard ground. Jean is AMAZING!!! 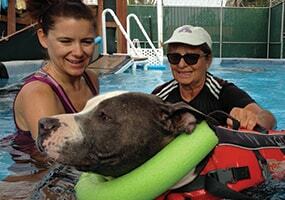 We started swim classes with our dog Catalina about 10 sessions ago. 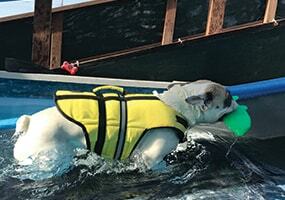 . .
What’s going on at Tranquil Pet? 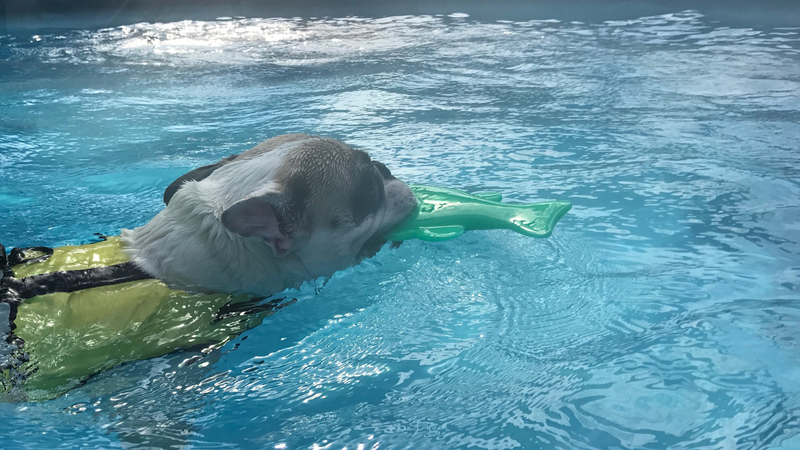 The swimming action benefits the dog's heart and lungs because the weight of the water requires your dog to put forth more effort to breathe. 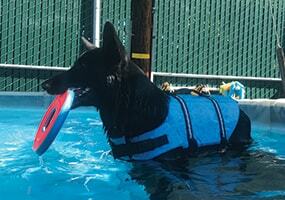 Swimming will also strengthen your dog’s muscles without risking further injury. 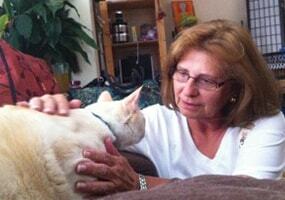 “Petting” is done unconsciously …. 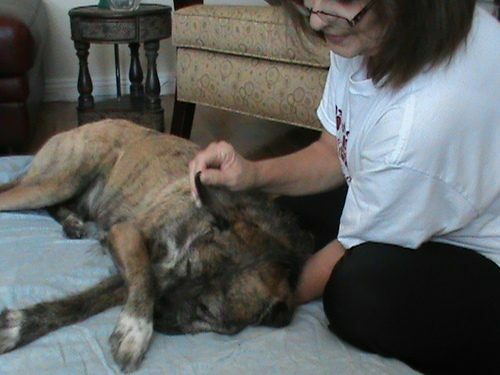 “massage” is done with “focus” on what you are doing … what you are hoping "not to find" on your dog: hot or cold areas on your pet, bumps, lumps, tight muscles, etc.